Well, W.E.B Du Bois said that the problem of the twentieth century is the problem of the color line. And I’ve maintained, in the things I’ve written in other places, that the problem of the 21st century is understanding the depth of racism in our society. Nothing brought this home to bear as clearly as the responses of Gov. 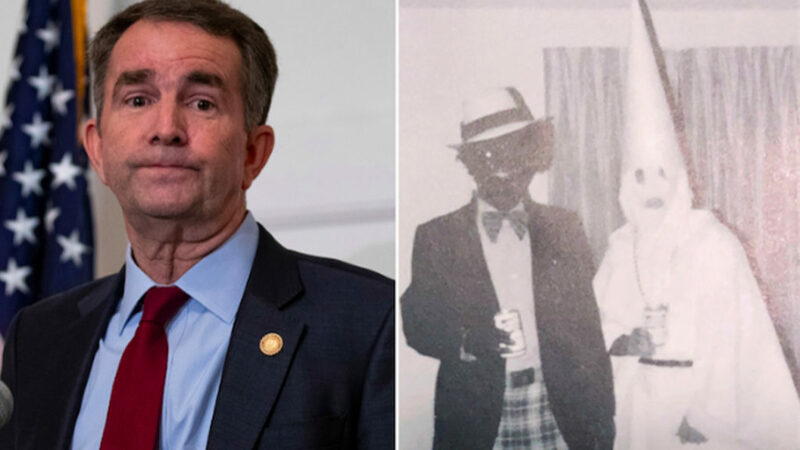 Ralph Northam to the right wing exposing him in blackface when he was a student in college. He could’ve used this moment to help our nation wrestle with racism and how it affects us all, but on Friday, hours after the photo surfaced, he said this, kind of admitting something. RALPH NORTHAM: That photo and the racist and offensive attitudes it represents does not reflect that person I am today. I cannot change the decisions I made, nor can I undo the harm my behavior caused then and today. But I accept responsibility for my past actions and I am ready to do the hard work of regaining your trust. MARC STEINER: Instead, he used excuses to deny that that was him in blackface, or that he enjoyed the racist humor in his youth. Blackface has an ugly history in our country, from its roots, to denials of people like Megyn Kelly and her racist utterings, to all those who do not want to come to grips with this moment that we’re facing right now in the United States. It should open us up for a greater discussion. But on Saturday, Northam made the situation even worse when he gave a lengthy press conference, danced around denials. Check this out. RALPH NORTHAM: Right now, I am simply asking for the opportunity to demonstrate beyond a shadow of a doubt that the person I was is not the man I am today. That same year, I did participate in a dance contest in San Antonio in which I darkened my face as part of a Michael Jackson costume. I look back now and regret that I did not understand the harmful legacy of an action like that. It is because my memory of that episode is so vivid that I truly do not believe I am in the picture in my yearbook. I believe this moment can be the first small step to open a discussion about these difficult issues and how they contribute to the greater racism and discrimination that defines so much of our history. MARC STEINER: So should Northam resign? What do we do as a society with this moment? How do we use it to grow as a people and as a vehicle to fight the racism that plagues us all, this entire nation and world, that was born here of the slave trade and still is in our bones? We are joined by Real News Executive Producer Eddie Conway and Jacqueline Luqman, who is Editor in Chief of Luqman Nation. Good to have you both with us here at The Real News. JACQUELINE LUQMAN: Thanks a lot. MARC STEINER: So I’m curious what both of you watching this think should be the response. A, do you think he should resign, and B, what should be the overall response? Jackie? JACQUELINE LUQMAN: I think his initial response was on the right track, but of course he stopped short of saying the magic words, “What I did was racist.” So if he had done that, if he had stuck with what he said Friday, “Yes, that was me in the picture, what I did was racist, whether I was in blackface or whether I was in the Klan outfit, that was wrong, it’s racist. I apologize that I did it. And we can start a dialogue, we can have a conversation about why young white men in the South felt like that was appropriate at another time. But yeah, I’m at acknowledging right now that was racist, it was wrong, I’m sorry that I did it,” I think we wouldn’t be having this conversation about Northam resigning. But that’s not what he did. MARC STEINER: I completely agree with that. Eddie, what’s your take? EDDIE CONWAY: Well, I guess my gut feeling is that. He’s no different than George Washington or Thomas Jefferson or Woodrow Wilson or Strom Thurmond, Bill Clinton, and you can go right up the list to Trump. It’s not a case of blatant racism as much as it is white supremacy and capitalism. And it’s the way in which the ruling class have decided to divide and conquer the world, buffering themselves with the white population against populations of all other colors to disrupt and destroy any possibility of us developing unity. And some people are more obvious in their Klan outfits, other people are more hidden in the blackface, and then some of them are even more hidden in the smiley, horn-blowing, sunglass-wearing face. It’s all the same in America for me. MARC STEINER: So let’s just take a step back for just a quick second, the history of blackface in this country from the 19th century on. I mean, there are examples I was looking at from 1978 where TV did a whole dance around blackface. And you had Megyn Kelly, and you’ve got people, the woman from–what’s it called? Orange is the New Black? JACQUELINE LUQMAN: Orange is the New Black, yeah. MARC STEINER: She came out in blackface, so to this instance and to other instances of parties kind of around the country in colleges with white kids dressing up in blackface. To me, it just shows A, either how clueless a lot of people are in this country, or how deeply racist they are and don’t even know that they’re racist. You think this is humor, this is a joke? I mean, that’s why I wish Northam had admitted what he did was wrong and racist, so people could wrestle with this incident and kind of deal with what it means and help people not do it anymore and find out what that means internally. Am I being too idealistic here? JACQUELINE LUQMAN: I don’t think you’re being too idealistic, but I think we’re kind of missing how deeply ingrained and conditioned the whole idea of blackface as sort of the normal representation of Black people is in this country in particular. I can’t speak to other countries because I don’t know about the popular culture of other countries. But I grew up watching cartoons in this country, and I remember cartoons where Black people and people in Africa, African people, were portrayed in blackface. And not just these benign kind of “hey, this is a white person or a white cartoon character with blackface on,” but in the worst, racist stereotypical portrayals in children’s cartoons. The same people that did Bugs Bunny were doing these kinds of cartoons with these blackface portrayals. So it has been ingrained, the mocking of people, the dehumanizing of a people, blackface as a way to convey these are the kinds of people that Black people are, in cartoons, in product ads. Remember the product ads for like household cleaners, cigarettes, toothpaste? Everything. If an actual Black person was not portrayed on the product as a servant or a slave, then it was an image in blackface with thick lips and bug eyes with a big old smile. And a certain set of behaviors came along with that. People knew. There was no one in American society, I honestly believe this, who did not understand that blackface was an intentional degradation of who Black people really were. And I would be a little bit less harsh toward Northam is his behavior was from, I guess, 1930 maybe. But we’re talking about 1985, OK. Let’s be let’s be serious now. The cartoons I’m talking about were aired in the 40s, 50s I think. MARC STEINER: So does that mean you’re going to give Al Jolson and Fred Astaire a pass? JACQUELINE LUQMAN: No, they don’t get a pass. They don’t get a pass in this, but I understand that we advanced in knowledge and understanding with every generation, and some things are more acceptable in later generations than they were before, even though they were always done. They just become less acceptable. But I also don’t believe that people don’t know that this is wrong. I believe that people inherently, intrinsically, somewhere in their being, know that this is wrong. This is why it’s always presented as a joke, it’s entertainment, they do it to make white people laugh. But they know they wouldn’t want to do it in front of Black people, and if they do, they know that Black people are powerless to really respond. But for Northam to have done this in 1985, I was a junior in high school in 1985. So I can’t even give him the benefit of being from that bygone era where this behavior was more acceptable. Everyone knew that blackface was blatantly racist in 1985. MARC STEINER: But racism has always been alive and well. I’m sorry, go ahead. 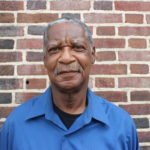 EDDIE CONWAY: Yeah. You know, I want to add to that, because it’s not a United States of America phenomenon. In fact, it goes back to the Dutch, it goes back to the Dutch East Indies. It goes back to the beginning of colonialism. Right now, if you go to Amsterdam, every Christmas they have a white man coming off a ship in blackface, giving out candy to little white children, and it’s acceptable behavior. MARC STEINER: There was a battle against that in Haarlem. JACQUELINE LUQMAN: Right, it stopped. EDDIE CONWAY: Yes. And so, you’re looking at the 15th century. You’re looking at way before they even started it here in the 18th, 19th century. You’re looking at other places in Europe. And that’s why I still say it’s about white supremacy, it’s about capitalism, it’s about justifying robbing and looting people all over the planet and degrading them in such a way where it’s OK. And the harm done in terms of like the Black Santa in Haarlem, say for instance, is that this is where your wealth comes from, this is where your riches come from. We are robbing these people, and we are having a Christmas celebration every year in front of everybody. So it’s late coming to America, but it goes back to capitalism, it goes back to white supremacy, it goes back to a ruling class that wanted to create the narrative that it’s OK to exploit these people. MARC STEINER: So it’s funny that you say the Netherlands, and that’s what Harlem was named after, and the celebration in the Netherlands around this blackface is also Haarlem. So the question is–and this is not a question that I think Black Americans have to answer. People always want to throw this out to Black folks and say, “What do we do, what do we do?” But let me ask a question similar to that. So I wrote this piece, and in this piece I told a story about what happened in Chicago in 1968 with the Young Patriots, who were a revolutionary Appalachian white group in Uptown, Chicago that made a coalition with the Black Panther Party and then Brown Berets, Young Lords, and created the original Rainbow Coalition. A couple of Panthers were in Uptown, Chicago, Fred Hampton, if I remember correctly, he was one of them, and in the room talking about going on this demonstration against police brutality and slum landlords. And an older white guy in the back of the room got up and said, and he used the “N” word, he said, “If that’s what these ‘N’s’ are saying, I’m marching with them.” And the Panthers walked up and hugged him and said, “Brother, we’re walking together.” He ended up becoming a fighter for an interracial coalition and to deal with racism in his own community. So I say that story to say, when these things happen to us in this country, what our response should be, what people need to do around this. I mean, this is what the governor blew by not admitting to this and wrestling with this, for the public to wrestle with this, as a white man wrestling with this with the white people in Virginia. So what do we take from this? Where do we go with this politically? EDDIE CONWAY: Well, I mean–go ahead, Jackie, I’m sorry. EDDIE CONWAY: Yeah. For me, it’s as Jackie is saying, it’s not our responsibility. We’re struggling around the issues that we need to struggle around for our survival. And I think other people, they’ll come to that same realization when they realize that the things that Trump do to disenfranchise us from healthcare, social programs, impacts them. It disenfranchises them, it takes money out of their mouths, it takes food away from their children. Once they realize that and they have to come to that realization, then they can join in with the struggle that we have been having, instead of having their own separate struggle across town and think we’re a part of the problem. We’re not part of the problem, the problem is they don’t recognize what the problem is. MARC STEINER: Absolutely. And so, while Northam should probably resign, this goes a lot deeper than just his resignation as governor of Virginia. And I want to thank Jacqueline Luqman and, of course, my comrade and friend here, Eddie Conway, for being with us today here at The Real News. Thank you all for watching. I’m Marc Steiner, take care.